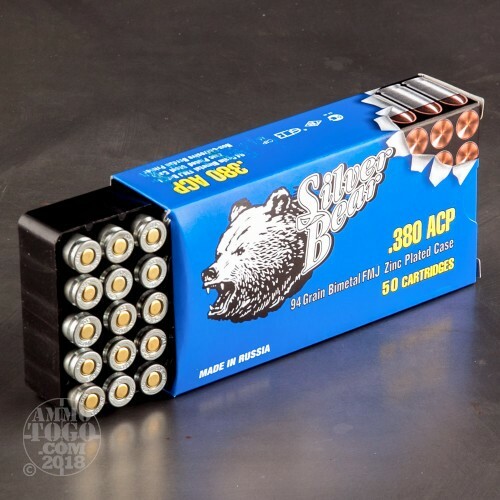 Silver Bear ammunition is a great option to get you shooting at the range without breaking the bank. 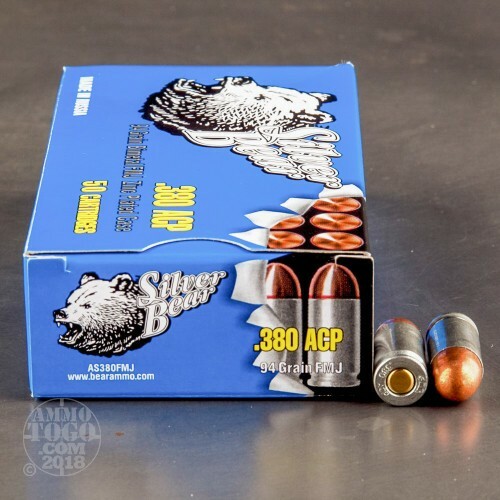 These new production 380 Auto rounds are loaded into zinc-plated steel casings that come berdan primed and are not re-loadable. The projectiles in this case of 1000 are 94 grain full metal jackets that are bi-metal and will stick to a magnet. 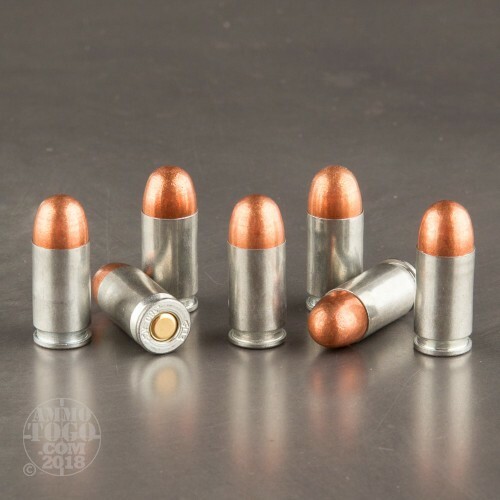 These are perfect rounds for volume shooting at the range, especially if you do not reload your spent casings. Silver Bear ammunition is made possible by the parent company DKG trading. DKG is responsible for the Bear lines of ammunition as well as several others including American Cowboy, Austrialian Outback, and others. DKG's slogan is "Scouring the world to find great values for the American shooter," and their products reflect that motto. 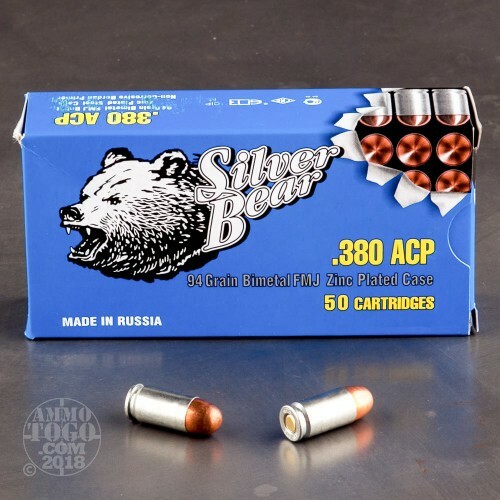 This Silver Bear ammo delivers both quality and affordability.